Dublin: More than a million people on the streets in protest demanding a second referendum on Britain’s decision to leave the European Union. Another almost five million have signed an online petition asking for the entire Brexit process to be put on hold. The Speaker of the House of Commons cites parliamentary rules going back to 1604 to thwart a third vote on the twice-defeated withdrawal agreement negotiated between the British government and Brussels. Like an angry schoolteacher, Prime Minister Theresa May scolds MPs for their Brexit failures in parliament in a televised national address from Downing Street. And now senior top ministers in the UK cabinet are plotting to oust May in days — placing Britain firmly in the paralysing grips of a constitutional crisis perhaps unprecedented since the rule of King Charles II in the 17th Century. And against all of this looms a series of irrevocable deadlines handed to May’s government by the collective European leadership, frustrated by the growing intransigence and deep infighting that has seemingly made the UK’s parliament either unable or unwilling to decide just when and how Brexit should take effect. Yesterday, Britons woke up to reports from The Sunday Times — substantiated by other reporting from outlets and multiple political sources — that May’s top ministers are moving to oust her within days after her strategy to lead the UK out of the EU after 46 years, were in tatters. The embattled leader of the Conservative party survived a leadership challenge in December, but one-third of her 313 MPs voted against her. She can’t be challenged by the party again for a year. 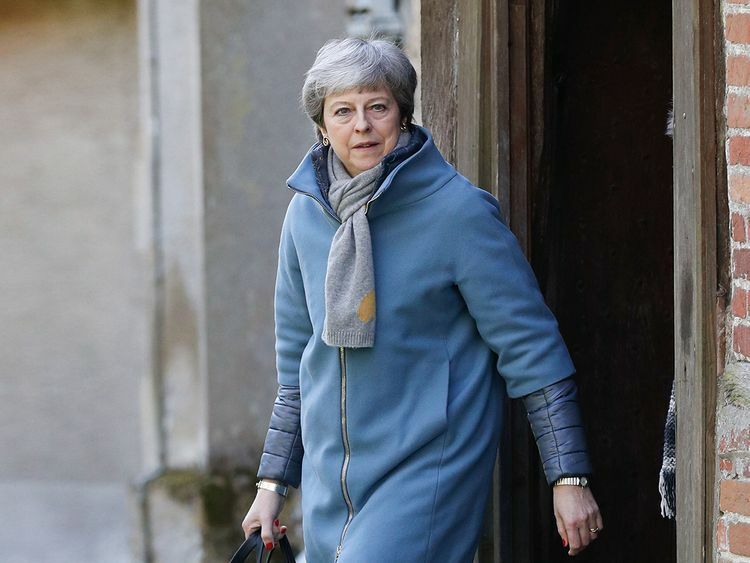 Since that vote, she has suffered a series of humiliating defeats, had her plans for passing the withdrawal agreement by attrition in the Commons derailed by the Speaker, John Bercow, and has now had to ask for an embarrassing extension to Brexit from March 29 to the end of June. Even that plan was scuttled by Brussels, who instead said the UK can stay until May 22. Even then, the Commons must past the withdrawal agreement by the end of this week or crash out on April 12 without a Brexit deal. But the EU did allow for a much longer extension — provided the UK takes part in elections to the European Parliament that are scheduled for the end of May. If May is toppled, Brexit would be thrust into doubt. It is unclear how, when and even if the UK will leave the EU. The Sunday Times cited 11 unidentified senior ministers and said they had agreed that the prime minister should stand down, warning that she has become a toxic and erratic figure whose judgement has “gone haywire”. The Sunday Times reported that May’s de facto deputy, David Lidington, is one contender to be interim prime minister but others are pushing for Environment Secretary Michael Gove or Foreign Secretary Jeremy Hunt. The Mail on Sunday reported that Gove was the consensus candidate among cabinet ministers who believe Lidington is too pro-EU. But Euro-sceptic lawmakers also expressed scepticism about the Leave-backing Gove. “I’m advised (Michael Gove) would also go for Customs Union plus single market with Labour votes,” Steve Baker of the Euro-sceptic European Research Group said. Earlier a Downing Street source, speaking on condition of anonymity, said that a Saturday Times report that there were discussions in May’s office about her departure was incorrect.